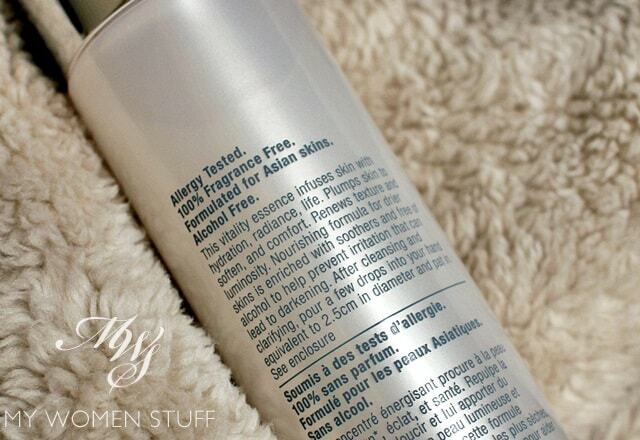 Home » New on shelves » Another treatment lotion hits the shelves and Clinique tries to make it an Even Better Essence Lotion! Another treatment lotion hits the shelves and Clinique tries to make it an Even Better Essence Lotion! The Clinique Even Better Essence Lotion is yet another Asia exclusive product for now, which pretty much gels with my earlier theory that the brands are releasing these treatment lotions in Asia first because consumers in Asia are already familiar with these sort of treatment lotions thanks to the indoctrination received from multiple Asian skincare brands. Skin Type 3 & 4 – Laminaria Saccharina Extract to normalize excess sebum production over time. As I do tend towards having dry skin, I’m using the Type 1 & 2 version which is a rather thick, opaque emulsion consistency. This isn’t watery like the Estee Lauder Micro Essence and SK-II Treatment Essence, nor does it have the liquid-gel consistency of La Mer Treatment Lotion. It is like a gel emulsion and I will tell you, will suit only those who really do have dry to very dry skin. The majority of you therefore will likely go for the one for Type 3 & 4 which has a lighter texture. You may be able to notice the slightly opaque and runny emulsion texture of the Essence Lotion that brings to mind barley water. As I have personally discovered myself, when my skin is dry and dehydrated, it looks lacklustre and dull and whatever freckles or pigmentation I have shows up more prominently. It is for this reason (and because so many whitening products dry my skin out) that I had forsaken using whitening creams and serums and focus on keeping my skin well hydrated and have been since 2011. The plus side of this shift in focus is that I ended up with better looking skin and while my pigmentation doesn’t go away, it does look less prominent and my skin looks better. When I slack off, it looks worse. Skincare is an on-going process! So this is where this Clinique Even Better Essence Lotion comes in. It serves as both an essence and a lotion to be used after cleansing and toning and before serum and moisturiser. It helps add moisture to skin, keep skin more hydrated and in the long run, also help to brighten skin. This isn’t a brightening serum however. Clinique has the Even Better Clinical Dark Spot Corrector Serum for that (which is one of the more effective products I’ve used) so you would use this in tandem not as a replacement. I use this as recommended, by dropping a few drops on my palm and then applying to my face, and follow up with my other skincare. I did run into problems, however. You see, it’s a solid bottle and the emulsion is quite thick so it’s really really hard to get it out of the bottle without being able to squeeze the bottle. Shaking the bottle doesn’t help very much and I always risk dispensing too much product, so I have to be quite patient and allow 2-3 drops to fall into my palm on their own accord. I don’t know if the more liquid version fares better, but I believe this is a bit of a design fault that Clinique might want to look into for their Type 1 & 2 version. In terms of hydration, I will vouch for this lotion’s hydrating properties. My skin does feel nice and hydrated. Does it make my skin look even better? It’s hard to say. Remember, I’d been using the La Mer Treatment Lotion before this and then followed by the Estee Lauder Micro Essence lotion. I cannot in any good conscience or honesty show you a before/after because I don’t see any drastic improvement, just maintenance. I can tell you however, that it does make my skin feel very comfortable and it does hydrate well. Any improvement in skin radiance will I believe come at a much later date because I ran into another problem. 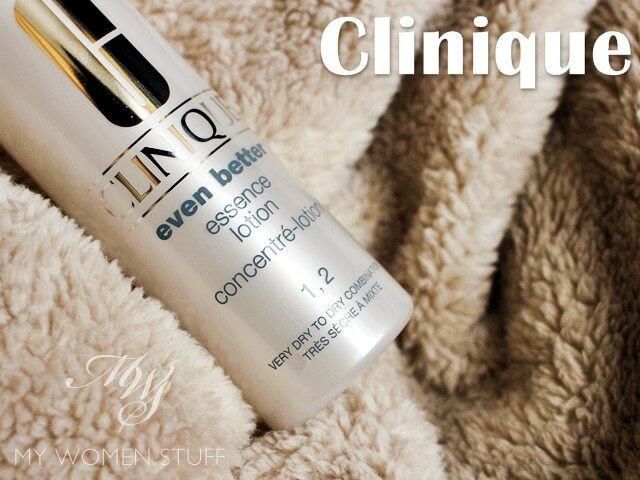 The Clinique Even Better Essence Lotion is a treatment lotion to be used after cleansing and toning and before serum and moisturiser. The purpose is to help hydrate and keep skin hydrated as well as brighten and calm skin over time. It comes in 2 formulations for Dry and Oily skin types and has 2 different textures. I used the Type 1 & 2 for Dry to Very Dry skin which has an emulsion texture. It felt comfortable on skin although the inclusion of olive squalene meant I couldn’t use it too often as my skin can break out from using olive extract (I’m an odd case). My skin did feel hydrated and comfortable with this which is probably the best I can say. It is affordable and useful to have in your skincare routine to boost skin hydration, if you have been thinking of using similar products. My quibble will be with the packaging, which isn’t practical considering the texture of the product and Clinique might want to rethink that. Alright, time to read minds again! 😀 Since this is one of the many treatment lotions that have been coming out, how do they stack up next to each other? Again, SK-II is a non-starter as it breaks me out quite badly but I put it in here because it’s the most recognisable treatment lotion out there. Pitting Clinique EBEL against Estee Lauder Micro Essence is a bit of a toughie because of the different textures. Clinique caters for different skin types, while Estee Lauder applies to all skin types. The textures are different and I believe my skin reacted differently as a result. However, due to the fact that my skin can’t handle too much of the Clinique EBEL, I’m picking the Micro Essence as my preference between the two. If not for my olive extract sensitivity, I’d pick Clinique over Estee Lauder simply due to it’s lower pricetag for essentially a similar product (ingredients not withstanding). Are you intrigued by the Clinique Even Better Essence Lotion then? Have you tried the other treatment lotions I’ve mentioned before this? This Clinique one just went on shelves and if you head down to the counters, you could be able to snag some samples and see if this works for you. Again, manage your expectations because we will all react to skincare differently, but do let me know how you find this should you try it! 🙂 Oh and I believe this is available only in Asia for now. Disclosure: Featured product was a press sample for consideration. Our commitment is to provide honest opinions. For posting guidelines please read our disclaimer. Oh good! (or maybe bad!) I’m not alone in my olive “allergy”! I love using treatment lotions and I wish more Western brands would release them here in North America! It’s so much better than the usual toner they sell here; that’s normally chock full of alcohol. Haha true, true! 😀 But because they all have different ingredients, it pays to see which will work better for your skin so don’t be afraid to ask for samples! This is certainly a more affordable option compared to Estee Lauder and La Mer. Still have not jump on the lotion as toner bandwagon yet. LOL. Too many products and routines in the market and just have to find that I can be comfortable with in the long run. I know what you mean. Quite often, I’m totally confused as well especially when people start introducing new products to be slotted in between established routines! I think these treatment lotions are a good alternative for those who are used to the idea, but when you are (like me) using a clarifying toner and a hydrating toner/spray already, it sort of becomes too much! Ah thanks for the info Firn! I blamed it all on the Olive element so I was partially right, just not wholly haha! Well, you’ve just convinced me I need the La Mer is what you’ve done HAHA. The SK-II one breaks me out too son-of a gun. So, I’m going to go with what works for us LOL! You’re so right! Treatment lotion is everywhere now. I just bought a treatment lotion from IOPE-Korea too. Can’t wait to see how it works. How interesting, I haven’t come across IOPE-Korea before but then I can’t keep up with the Korean brands out there haha! I hope it works well for you! It’s actually fascinating how the Western brands are catching up! Hey Paris, I am a total treatment lotion newbie, but I have been really intrigued by these releases! I have to say that so far, the EL one seems the most promising to me, but perhaps it is simply because I love ANR and that one is supposed to give ANR a boost! Your skin reaction to Olive extract brings to mind how Hada Labo cleansing oil didn’t work out for you. Pricing wise, this is certainly the most affordable of the lot if compared to the more established and mature “madame/sister” brands like La Mer, SK-II and EL. 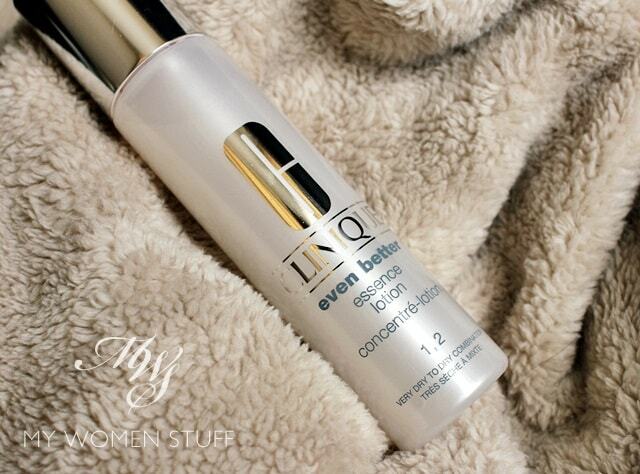 Previously I was using the EL Optimizer Intensive Boosting Pore Minimizing Lotion. The texture was slightly viscous which I loved 🙂 It felt hydrating. Then I moved on to Hada Labo lotion and tried SK-II. I am happy with these two products and interestingly, they are on the extreme opposites of the price scale. However, I have not had convincing experience with Clinique products, sad and very much sorry to say. I mean they are ok but for a lower price perhaps, I can get other products which works too. Thanks for sharing your honest and comparative review on the treatment lotion invasion this year 🙂 I have sachets of EL Micro Essence which I have not tried. Somehow, products in sachets are only considered when I am traveling hehe, which is not often. Good memory, Jennifer! I’m the only person out there who isn’t raving about the Hada Labo cleansing oil haha! 😀 I think like all skincare brands, Clinique products are also hit or miss. I can’t use the basic range, but their treatment ranges are ok for me. And better break into the sample sachets – I’ve learned it’s never wise to keep them for too long coz you’re liable to forget about it and there’s no expiry date printed on them! Could you send me a picture of the ingredient list please…it would be so nice of you !! Hi Sophie, I’m afraid I can’t as I don’t have it myself! I\’ve started using this Essence Lotion a few weeks ago, though not religiously daily, and now i have some tiny red spots over my face too! They\’re not pimples but just small bubbles kinda shape. Can it be other than the olive extract? Also, i\’ve just started using Clinique\’s even better dark spot corrector and the dramatically moisturizer. The red spots freak me out!